Huh? Unless you’ve been averting your eyes from all things baseball so as to not witness yet another Red Sox world championship, you already know that the New York Mets named super-agent Brodie Van Wagenen as the 13th non-interim General Manager in club history. I must say that out of all of the publicly-disclosed candidates, he was my least favorite choice for the role. I somewhat swam against the tide of public opinion and was in favor of Doug Melvin, especially after his post-interview press conference when he seemed to correctly identify every Met issue. He also earned extra points for almost fleecing Sandy Alderson back in (sigh) July of 2015, when he nearly acquired Wilmer Flores and Zack Wheeler for a washed-up Carlos Gomez. Tampa Bay’s Chaim Bloom was my next choice, as going all of the way back to the mid-90’s Expos teams I have long advocated the Mets hiring any one of the architects of that prospect-rich, shoestring budget team. That Expos franchise seemed to just be able to find gem after gem, didn’t they? The Rays are their spiritual heir, coming out of nowhere nearly year after year to put together an exciting and watchable team rostered by players you haven’t heard of before. Look, none of us can say with any certainty today that this is a good hire or not. But on the surface, this is a move fraught with potholes. The biggest is Van Wagenen’s former occupation, complicated by his relationship with several key Met players. It’s kind of like having a consultation with an attorney on Tuesday, only to arrive in court on Thursday to find the self-same barrister working for the opposing side. Toss in those comments from Player’s Union head Tony Clark, and this has all of the makings of a disaster, both at the operational level and from a public relations standpoint. The other concern is from the early reports of the Mets plans to keep the triumvirate of Omar Minaya, J.P. Ricciardi, and John Ricco in place. This appears to be a confusing co-mingling of power and responsibilities, a Machiavellian plot probably hatched by Jeff Wilpon to keep all of his lieutenants at bay and at each other. Add the return of Mickey Callaway as manager (a move endorsed by Jeff) and one thing that is very clear is that the team is not getting a strong man at the tiller. One has to wonder was said to Van Wagenen to get him to leave his very lucrative position. I assume he has made enough money to be set for life, as it isn’t like he can go back to his old role if (or when) he flops here. There is the hope that he convinced the Wilpons that he is the guy to help them act more like a big-market team. Maybe he has some connections to some rising hotshot analysts and player-development types that he plans on bringing in. At age 44, he is certainly not “old school,” but he clearly lacks the experience his predecessor brought to the table—not that this is a bad thing. This is my first post since Spring Training began. It’s been that kind of year. The 2018 Mets started off red-hot and then went oh-for-June, which effectively ended their season. The fans grumbled, the press made fun, and the team essentially put a “For Sale” sign on the few productive veteran players that could still suit up. But a funny thing happened after the calendar flipped to July. The Mets started to play better. Slowly, almost imperceptively at first, several players began to turn it around. There were steps back to be sure, like that nightmare in DC, but they started to gain a bit of traction. Fast forward to this past week, when the suddenly dangerous Mets knocked the Dodgers out of first place, probably spoiled the Phillies’ chances of reaching the post season, and are creeping up on the equally disappointing Nationals for third place in the NL East. Not exactly baseball like it oughta be, but certainly an intriguing development. 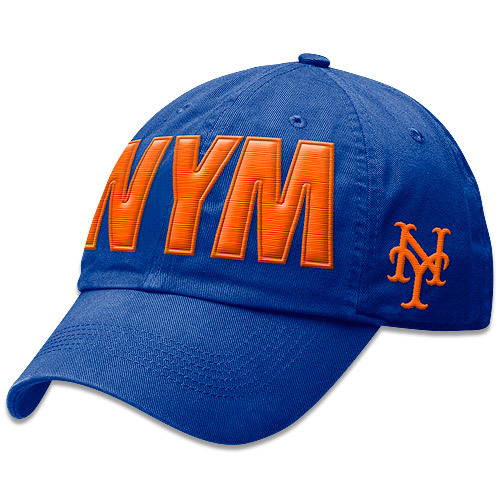 I’m starting to push 60, but I still have quite a bit of “Fan Boy” in me about the Mets. On the flip side, I have been rooting for them since 1971, leaving me little more than just a little cynical about their future. So, what kind of dialog ensues when Dan the Fan Boy and Dan the Old Cynic join the same Mets chat room in some corner of my brain? Fanboy: The Mets will let David Wright and Jose Reyes man the left side of the infield one more game together before the end of the season, and then hold a very nice retirement press conference for them early in the offseason. Old Cynic: No chance. David Wright will continue to attempt his “one last try.” Jose will further tarnish his legacy by telling his agents he’s open to a minor league deal. Don’t count out the Mets taking him up on that offer. Fanboy: Amed Rosario and Jeff McNeil will combine to be the best 1-2 top of the batting order since the days of Dykstra and Backman. Defensively, they are the best keystone combo since Rey-O and Fonzie. Old Cynic: It been a nice half a year for both players, but I need to see a few more good months of out McNeil in 2019 before I anoint him as the starting second baseman. Rosario alternated between looking really good and making some fundamentally unsound plays. Is that his youth, or the poor Mets player development system showing? The “best keystone combo since Rey-O and Fonzie” is more of an indictment against the Mets than an endorsement of Rosario and McNeil. Fanboy: Zack Wheeler finally realized his potential. Between he, Jacob DeGrom and Noah Syndergaard, this is the best 1-2-3 rotation in baseball. And, if manager Mickey Callaway and pitching coach Dave Eiland can complete Steven Matz’ turnaround, we’ll have four aces. Old Cynic: One (painful) word: Injuries. Fanboy: Peter Alonso will supply the Mets with the kind of power they haven’t seen since Cespedes was in his prime. His righty bat will be bracketed by lefties Brandon Nimmo and Michael Conforto to form a left-right-left homegrown power trio in the middle of the order for the next few years. Put Todd Frazier in the 6-hole and they have a good lineup, one through six. Old Cynic: It would have been nice to have seen Alonso get some at-bats in September. Plus, he hit about half of all those homeruns in the PCL, which is a notorious hitter’s league. Your 3-4-5-6 of the order will cool off the fans on humid nights with all that fanning. And, they’re just going to give up on Dom Smith? What happens to the beloved Wilmer? I can’t wait to hear about your plans for Jay Bruce. Fanboy: The San Francisco Giants have Mark Melancon, an overpriced former closer that they don’t need. The Mets need a closer. The Giants have already cut bait with Andrew McCutchen and are losing Hunter Pence to Free Agency. They need outfield help. The Mets have Jay Bruce, who is making nearly as much as Melancon. The Mets don’t need Bruce anymore. The two teams should work out a trade for these contracts. We don’t need Melancon to close, except in emergencies. Old Cynic: Yes, the Giants will need outfield help, but Bruce is absolute toast. They finally got rid of Pence, so now they’re going to sign up for two more years of poor production? They can just stash MM in the bullpen the way you want to, and go with Will Smith to close. By the way, who closes for the Mets in this scenario? Anthony Swarzak? Old Cynic: All of those names, except Wahl, are Sandy Alderson acquisitions. If we learned anything from his seven years as GM, it’s that he can’t build a bullpen to save his life. I’ll give you Jerry Blevins, but remember Jon Rauch, Frank Francisco, DJ Carrasco, Victor Black, and Jose Valverde? Don’t forget Swarzak. Plus, we got most of those guys in trades when we dumped veteran salaries. How much value did these pitchers really have to their former teams? Fanboy: Juan Lagares really looked sharp in the 30 games he played. He’s in the last year of his contract, so he will be very motivated to stay on the field, bringing a gold glove and some speed to the everyday lineup. Old Cynic: You’ve heard of the definition of insanity, right? Fanboy: Callaway has already stated that he wants Seth Lugo in the rotation. With the other four spots taken, it’s between Lugo and Jason Vargas. The Mets will just have to swallow hard and release Vargas, giving his spot to Lugo. Old Cynic: The Mets will never cut bait with Vargas, a signing they never should have made in the first place. Plus, doesn’t Lugo have a tear in a ligament on his pitching arm somewhere? Fanboy: The Mets should sign Yasmani Grandal to a three-year deal. They can front-load it and offer him opt outs after the first two years. Old Cynic: Yeah, a $50 million-dollar deal with $45M “frontloaded” in 2019. Seriously though, Grandal is just about the only full-time and effective catcher on the market. A lot of better-run and more willing to spend teams will be in on him. Unless we are willing to way overpay, I can’t see any reason why he would want to come here. Plus, if they’re giving Juan Lagares another go, why wouldn’t they give Travis d’Arnaud another chance as well? Fanboy: The Phillies faded down the stretch, Washington is a mess, and Atlanta had a bunch of players have career years. The NL East can be wide open next year. Old Cynic: Atlanta is going to be a dynasty; the Phillies have plenty of young, talented players and the Nats are going to full reload mode for Life After Harper. Get used to 4th place. So, that’s what’s going on inside the Met portion of my brain these days. How about you, are you a fan boy (or girl) or an old(ish) cynic about the Mets next year? Does the Mets’ 2018 season seem eerily familiar to you? Are you reminded of the beginning of the Alderson era, when the Mets failed to properly rebuild in the name of “maybe we can contend” every year? For those who’ve since managed to forget, this summed up the Mets from 2011-2013, and only the unexpected brilliance of rookies Jacob deGrom and Jeurys Familia carried the team closer to .500 in 2014. Personally, when I look at the 2018 squad, I see a lot of 2012. Let’s indulge in a wistful reminiscence of that knuckleball-filled season, and see if it provides any takeaways for the Mets’ current roster. With all hopes of contention gone before the end of July, 2012 Mets fans had one reason to tune in every five days: the brilliance of R.A. Dickey. Some historic feats early in the season (back-to-back one-hitters in June!) put him on the map as one of the best stories of the year, and he charged into August and September pursuing 20 wins and a Cy Young award. When he had his A+ knuckleball he was a strikeout machine, and when he didn’t, Dickey got by on guts and determination. Whenever he was in trouble, he seemed to find a way to dot the corner with a surprise fastball, or induce a chopper for a double play. R.A. seemed to single-handedly will the team to victory on the days he started; rarely has a Mets pitcher fielded his position with more gusto or run harder to first base than the 37-year-old journeyman with the thick beard. Of course, all those wins weren’t really single-handed. The team still had to score a few runs, catch some deep fly balls, and close the door in the 8th and 9th. Sounds like a dream, doesn’t it, Jacob deGrom? Jon Niese had teased the Mets for years with various combinations of a nasty cutter, a nasty curve, and elite velocity for a lefty starter. In 2012, he improved his control and went on his first sustained run of excellence. We can see some parallels in the Mets tenure of Zack Wheeler, though Zack’s 2018 turnaround has been far more dramatic. Josh Thole and Kevin Plawecki were both supposed to hit for high enough averages to make up for their mediocre arms. Nope. Back in 2012, most teams still valued a guy who could hit 30 homers and not do much else. Ike Davis was viewed as a probable cornerstone of the Mets’ lineup, despite his whiff rate. Now, in 2018, with such players often available in the free agent bargain bin, poor Peter Alonso can’t even get a call-up. It’s still early for Jeff McNeil, but he shows all the signs of becoming a Mets-era Daniel Murphy: great contact ability, occasional pop, few walks, not exactly a natural at second base. Hopefully McNeil can avoid the injury bug that bit the Mets’ last Murphy clone, T.J. Rivera. In 2010, Ruben Tejada blew our minds by showing himself to be a capable MLB shortstop at the age of 20. Despite his lack of exceptional tools, he showed enough quickness, contact ability, and intelligence both in the field and at the plate, to raise hopes very high indeed. In 2012, Ruben hit .320 into mid-August while rating as an average defender at short. Terry Collins named him as the team’s cornerstone player to build around heading into the future. From there it was all down hill. Amed Rosario likewise impressed onlookers at an early age, though in a very different way, flashing tools in AAA rather than poise in MLB. Handed the Mets’ starting shortstop job at age 22, Rosario is still viewed by some as a future cornerstone, but his lackluster results are beginning to dim those hopes. Lucas Duda absolutely destroyed the minors in 2010 and 2011, but his early days in MLB were mixed. Showing the quickest bat and most natural power on the team, Duda alternated between great at bats and terrible ones. When hot, he was very selective, drawing walks and murdering the pitches he got to hit. When cold, he’d consistently wave through anything sinking below the knees, with little ability to read change-ups and breaking balls. He was also toast against lefties. Michael Conforto has been much the same so far in his major league career, but with more prolonged slumps and more prolonged streaks. With a torrid first half of 2017, Conforto had everyone dreaming of a perennial All-Star hitter, but that hitter hasn’t shown himself once in 2018. The 2012 Mets featured an athletic outfielder who had recently put together a very impressive minor league season, and instantly showed a decent combination of pop and patience in the majors. His name was Kirk Nieuwenhuis, and scouts were torn on whether he’d be a future regular or future fringe player. Brandon Nimmo entered 2018 in much the same position. Like Kirk, he got off to a good start. Unlike Kirk, he’s kept it up. Look out, though. That whiff rate that proved to be Nieuwenhuis’s undoing? Nimmo’s is nearly identical. Scott Hairston was the 2012 Mets’ second-best hitter after David Wright. Scott never provided enough consistency or defensive value to be a regular, but he could certainly hit rockets when he was on. While Hairston was a two-year free agent, his modern counterpart, Wilmer Flores, is one of the longest-tenured Mets and a fan favorite. Johan Santana gave the Mets one great season and a few good ones before his body betrayed him. Jason Bay fell apart very quickly after donning the orange and blue. In 2012, the pair contributed a combined -0.9 WAR for $40M. Yoenis Cespedes and Jay Bruce have provided -0.1 WAR for their $40M salary in 2018. After 2012, the Mets continued to sputter along until everything converged late in 2015. Of the 2012 players mentioned above, only Murphy and Duda were regulars, with Tejada and Niese useful in part-time roles. Dickey was traded for a serviceable catcher and a hard-throwing kid who took off in the Mets’ system. Santana and Bay were gone, with Nieuwenhuis a 25th man, on and off the roster. Can you imagine this Mets team reaching the 2021 World Series? • A red-hot Jeff McNeil, coming off a merely decent season, anchoring the playoff lineup from the #3 spot with lots of tough at bats and surprising pop. • Michael Conforto batting 5th against righties, with enough easy whiffs to frustrate, but enough walks and homers to be useful. • Amed Rosario as a part-time shortstop, allowing the Mets to switch and pinch-hit for another mediocre option at the position. • Zack Wheeler bumped from the rotation due to health and consistency issues, but contributing out of the bullpen. • Nimmo subbing in to hit the occasional triple or make the occasional diving catch. • Bruce and Cespedes a distant memory. • Some emerging ace and catcher stepping into the spotlight after being acquired for deGrom in 2018. That team is still missing most of the key components that would make it a winner. However, way back in 2012, we didn’t see deGrom, Familia, and Cespedes on the horizon either. This is the fifth annual article on this topic. The Mets breathed hope into a long-suffering fan base with their late charge in 2015, a World Series run that had pundits questioning whether the 2016 Mets rotation would be among the best ever. Did the Nationals even have a realistic shot at the team that had so thoroughly pummeled them in the previous year’s pennant race? Then Matt Harvey fell apart, Steven Matz got hurt, Zack Wheeler endured setbacks, and only a clutch rally by plans C, D, E and F propelled the Mets to the 2016 wild card game, where they unfortunately got Bumgarnered. Coming into 2017, most expectations of Met dominance were gone, but many still expected the Mets to be one of the better teams in the game and not too far behind the Nats. Their young aces were expected to rebound, at least somewhat, and many prognosticators foresaw better contributions from Lucas Duda (injured in 2016), Michael Conforto (awful in 2016), or Travis d’Arnaud (injured and awful in 2016). Yoenis Cespedes was expected to contribute more in the field and on the bases, having recovered from the leg injuries he played through in 2016. Most of those hopes didn’t survive April. Duda and Conforto did improve, but the pitching completely fell apart in 2017, en route to the second-worst ERA in franchise history. The Mets’ pitching staffs of 2015-2016 did not walk people. They all threw strikes, from the dominators like Jacob deGrom to the fringe guys like Sean Gilmartin. In 2016, the Mets issued 439 free passes, best in the National League. In 2017, that number jumped to 593, the third worst total in the N.L. I have heard no theories as to why this happened, so here’s mine: it was the departure of Bartolo Colon. With his unimpressive velocity and physique, Colon spent 2014-2016 relentlessly throwing strike after strike, never perturbed when a hitter would square one up. That confidence had to inspire his young, chiseled, rocket-armed teammates, didn’t it? Or at least make them ashamed to nibble? Alas, the Mets let Bart sign with the Braves for 2017, and that didn’t end well for anyone — not for the Mets’ suddenly-skittish pitchers, nor for Bartolo in the Braves’ new launching pad stadium. Bad pitching wasn’t the 2017 Mets’ only major problem, though. The infield defense was awful, by far the worst in baseball according to the Defensive Runs Saved metric. The Mets’ lack of speed meant they couldn’t manufacture runs, and often relied solely on the homerun. Many of the team’s injury-prone players got injured again, leading players and management alike to lament the season’s run of bad luck. By early June, the Mets seemed out of the hunt, with the Nationals well on their way to winning 97 games (despite major injuries of their own). By July, the Mets were in full-on sell mode, waving goodbye to Lucas Duda, Neil Walker, Addison Reed, Jay Bruce and Curtis Granderson, in exchange for a big bag of nothing. I mean relief prospects. No, wait, I already said that. After the trade deadline, the Mets went 22-37; the top prospects brought up to provide excitement and improvement did neither; and reports surfaced of “the inmates running the asylum” and the players being “all miserable”. After concluding their 70-92 season, the Mets said goodbye to longtime manager Terry Collins, bringing on first-time skipper Mickey Callaway. Callaway and new pitching coach Dave Eiland immediately gushed about the talented arms in the Mets rotation, continuing the long-running story that this is a team built on starting pitching. A lot went wrong in 2017. A few things also went right. Let’s give it all a thorough look-over, and see if we can make sense of what it means for 2018. 2017 was largely an awful year for d’Arnaud. Blessed with better health than in past seasons, he hit and threw so poorly in the early going that when the Mets really needed a win, scrap-heap pickup Rene Rivera took the field. Coming off a 2016 season in which he rated as below replacement level, Travis did little to raise his stock in 2017, unless you find meaning in a September power surge after the Mets were far removed from contention. Bringing d’Arnaud back in 2018 (while watching the A’s sign Jonathan Lucroy for $6.5M) is a big gamble on a playoff-hopeful team. Look up at the Nationals, look down at the Mets roster, judge the gap too large to breach, and plan for the future. Maximize the Mets’ current assets and go all-in for 2018. Maybe Option A is the smarter long-term move. Dangle Jacob deGrom for a boatload of prospects, tank for a few years to collect top draft picks, and aim for a championship when Amed Rosario is in his prime in 2023. So, hey, Mets fans, how many of you are on board with that plan? After a decade of choke jobs, injuries, mediocrity, penury and embarrassment, punctuated by a few months of catching lightning in a bottle, are you on board to wait another several years for a contender with a decent shot to win it all? So let’s talk about Option B. Before Sandy Alderson has polished his February speeches about how the market didn’t provide the proper opportunities and blah blah blah, let’s see if we can imagine a way to get from where the Mets are now to the promised land this October. It’s easy for fans to ask their team to spend more money for more wins. I’d rather not go so far in that direction, though, that we’re paying $100 million in 2020 to some combination of players who can’t take the field (Miguel Cabrera, J.D. Martinez) or are below-average (Jay Bruce, Mike Moustakas). I want the Wilpons to spend, but I also want them to get bang for every buck, so we fans can dream of contending every year without needing to spend like the Yankees and Dodgers (which simply isn’t going to happen). For that reason, I’m going to rule out many players who could really help the Mets in 2018, because I don’t think they’ll be remotely worth what they’d cost. To me, that’s the above players, plus Eric Hosmer, along with anyone who generates an actual bidding war among Jake Arrieta, Yu Darvish, Wade Davis, Addison Reed, and Lorenzo Cain. My guess is that the Mets’ biggest moves should be trades, leaving free agency to round out the roster with an R.A. Dickey here or a Jarrod Dyson there. The Marlins are looking for immediate payroll relief, and that means finding a taker for Martin Prado. They’re also looking to avoid the appearance of a complete sell-off, which means they need both hot prospects and MLB-ready talent. Whoever can fill all these needs will become the leading candidate for the Marlins’ most coveted remaining talents, Christian Yelich and J.T. Realmuto. Trade Dominic Smith, Asdrubal Cabrera, Justin Dunn, Travis d’Arnaud and cash to Miami for Prado, Yelich and Realmuto. Dunn is a first-round draft pick with elite velocity. Smith is another first-round pick who’s received plenty of media hype, flashed great potential, and has the likable underdog backstory that fits perfectly on a rebuilding team. Cabrera can play wherever the Marlins need him in the infield, with the Mets sending cash to offset his salary. D’Arnaud will replace Realmuto behind he plate, bringing an enticing history of top-prospect status and power potential. It’s not a steal for Miami, but it’s credible, and gets them the payroll relief they want. 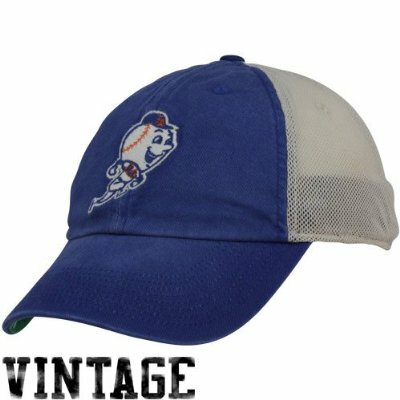 Where would this leave the Mets? Realmuto’s poor blocking and framing skills make him far from perfect, but gaining 50+ points of OBP from the catcher spot is hard to overrate. Yelich is either a mediocre center fielder or a gold glove corner guy. He’s durable and a good baserunner. He hasn’t yet put it all together at the plate with any consistency, but he’s flashed batting champion potential and it’s not impossible to dream of upside at age 26. Prado suffered from hamstring problems early in 2017 and then had knee surgery in late July. Having just turned 34, he has to be considered a health risk. Before that, however, he was a player who would have fit perfectly on the Mets: a reliable, clutch, shift-beating contact hitter who rated as a stellar defender at third base. Realmuto and Yelich will be paid much less than they’re worth through 2022, while Prado will be paid a bit more than he’s worth through 2019. The Mets’ payroll will jump in the short term, but they’ll actually be in an improved wins-per-dollar position going forward. As for losing Smith and Dunn, I don’t expect to miss a first base-only prospect and a pitcher who’s never shown much command or control.